D.C., M.S., C.C.N., C.N.S., D.A.C.B.N., C.I.S.S.N. 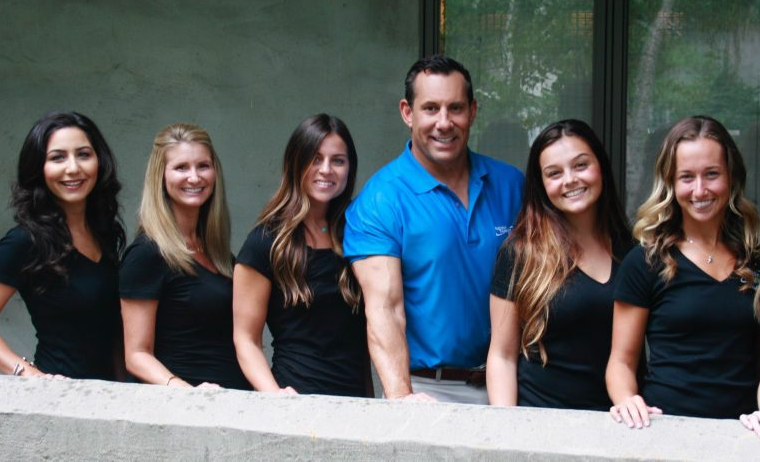 When Dr. Tom Bilella found Chiropractic and Natural Medicine he dedicated his life and studies to helping people live a life full of strength and vitality. He is a leader in the field of Metabolic Nutrition and Functional Biochemistry. He holds 5 Certifications in Clinical Nutrition and is a Certified Sports Nutritionist. Kristen holds a Bachelor’s degree in Nutrition and Food Science. She is First Line Therapy Certified and is a Certified Personal Trainer through the National Academy of Sports Medicine. Her ultimate goal is to help as many people as possible live a healthier, more productive life and reduce the usage of lifestyle induced medications in our society. Sara graduated from San Diego State University with a Bachelor’s Degree. She spent five years specializing in ketogenic diets at Medifast as a Senior Consultant. Sara has helped hundreds of individuals successfully lose weight and keep it off. She has experience coaching those with type 2 Diabetes, high cholesterol, and those suffering with weight loss resistance and obesity. Sara now continues her passion here at Nutrition Treatment Center where she is dedicated to helping those reach their goal with positivity and passion. Stephany received her Bachelor of Science in Nutritional Sciences, at Rutgers University. Stephany values the importance of hormone balance and nutrition, therefore she has also completed comprehensive coursework to receive a minor in Endocrine Physiology & Health Sciences. She contributes to the team as both a Nutritionist and a Clinical Assistant. Her interest in nutrition sparked when her grandfather was diagnosed with diabetes which led her to begin a lifestyle change for herself. She is passionate and committed to helping others live a more healthy and fit life. Taylor holds a Bachelor of Science Degree in Nutrition and Food Science from Montclair State University. She is a Certified Personal Trainer through the National Exercise and Sports Trainers Association. Taylor is extremely passionate about nutrition, fitness, and overall wellness. Her goal is to coach as many people as she can so they can reach their health and wellness goals. Taylor is an integral part of our team serving as Client Relations and Product Manager. Celina, holds a Bachelor of Science Degree in Nutrition and Food Sciences, with minors in both Psychology and Public Health. Through an internship at Montclair State University, Celina was able to join the NTC team successfully! She has significantly improved her quality of life through dietary changes, as she wishes to help others do the same. With a focus on digestive health, Celina’s main goal is to alleviate uncomfortable symptoms that are related to diet and lifestyle. She truly believes anyone can accomplish what they put their mind to and she loves to assist anyone trying to achieve their lifestyle goals! Bonnie is the treasurer of Nutrition Treatment Center since its inception. She handles all the finances for NTC. Her great personality and keen business sense make her a great attribute.